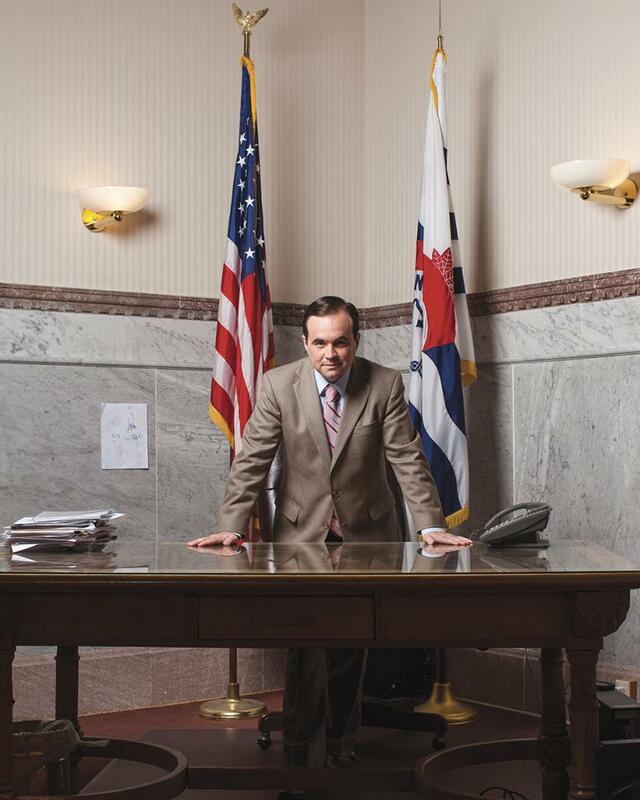 When you boil down the job of mayor to its essence, John Cranley believes you’re presented with a clear binary choice: Either your city is growing, or it’s dying. Any decision you make that doesn’t help your city grow contributes to its decline—death by a thousand paper (and budget) cuts. 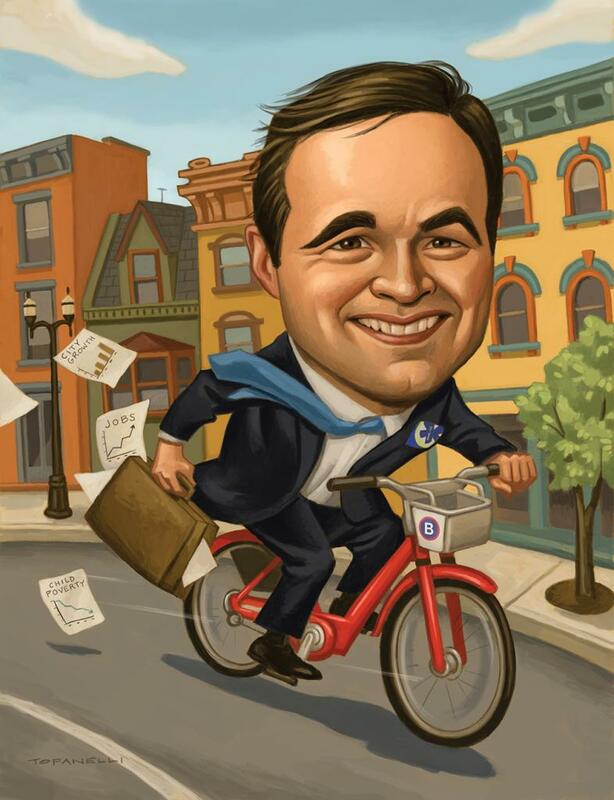 Cranley won a second term as Cincinnati mayor by defeating Councilwoman Yvette Simpson last November. His embrace of economic and development growth—particularly his support of an expansion project by Cincinnati Children’s Hospital Medical Center at its main Avondale campus, which Simpson balked at—played well at a time when Cincinnati has grabbed lots of positive national media coverage, leading to a more-comfortable-than-expected 54–46 percent victory margin. Limited to two terms as mayor, the 44-year-old Price Hill native is doubling down on pro-growth goals for the next four years, pushing for policies and investments that could add jobs, businesses, transportation options, and opportunities—creating what he thinks would be a population boom in the city. In your inaugural address, you said your top goal for this term is to embrace growth. You want Cincinnati’s population to surpass 330,000 by 2030 and 350,000 by 2050; the current population is about 300,000. And you want to help create 50,000 new jobs in the city by 2050. Why is bigger better? Cities by nature want density. They do better by embracing diversity and bringing more people in. Cincinnati at one time had 500,000 people living in the city limits, and so the infrastructure was built for a larger population, and that’s where the cost of infrastructure becomes the cheapest. The more people in, the less you have to tax and the further your dollars go. Cities thrive on proximity and density as an advantage to get economies of scale to provide better services at less cost. That’s also consistent with my moral belief that diversity is a good thing and bringing together people from different walks of life leads to a better whole. The whole is greater than the sum of its parts, and the more parts we can get [into the city] the greater the whole will be. I also believe that some of our thorniest issues—like income inequality as well as poverty and environmental issues—will benefit from a larger population, both a larger job base and a larger economic opportunity base. How do you start boosting population and job growth over the next four years to get on track toward hitting those long-term goals? First and foremost, we need to continue to grow the economic pie by inviting new people into the city and embracing new jobs. We need to have a pro-growth regulatory “welcome” mat, whether that’s GE or whether that’s FC Cincinnati or whether that’s working with an Alibaba to invest from China to work with Kroger going forward, whatever it might be. We’ve had a good track record of job growth and we have to keep it going—that includes Mercy Health in Bond Hill and Kroger building a new grocery store downtown. I want to make sure we don’t suffocate that growth with too much regulation, for lack of a better word, or assume arrogantly that we have all the leverage in these deals and forget the decades when people and businesses were moving to the suburbs or to Northern Kentucky and outlying counties, [but remember] that people do have options. So we have to maintain an ethos of service that we want our customer, our investor, and our new immigrant moving into the city to feel welcome and invited and part of the larger goal. If we do that, I think we’ll continue to see growth in population and jobs. Over the next four years we intend to make real progress on poverty. Our Child Poverty Collaborative, a public-private partnership, will work with 5,000 individual families and try to see what works and doesn’t work and report out that data to help us and other cities do better. I want to make meaningful progress on climate change by investing in solar and renewable energy and helping individual families reduce their carbon footprint by retrofitting their homes and saving on their energy bills. What was your involvement in the Amazon-turned-Apple recruitment efforts? Has that effort—plus the success with recruiting GE to The Banks—put Cincinnati “on the map” as a real competitor for new headquarters and major development? We are increasingly on the map now. You can’t help but notice The New York Times saying Cincinnati is the No. 8 place to visit out of the whole world and KPMG saying for many years in a row that we’re a top business-friendly place to locate. We’re on the top 100 list of livable cities and fastest growing job growth in the Midwest, our start-up community is ranked highly. National media have done “weekend in Cincinnati” travel stories. So increasingly we’re making the cut, and there’s a real vibe and positivity about Cincinnati. But the biggest shift I’ve noticed in my life is that we believe it now. You can’t sell something you don’t believe in yourself. There were tougher times when the city’s trajectory was going in the opposite direction, often times the result of macro forces that were not any one individual’s fault. But it was a fact. I remember 10 or 15 years ago, and I was in city government at the time, the pessimism was pervasive. Now the optimism is pervasive. What I experience, and what’s so exciting to be part of, is that optimism. And so we can go sell our city in way that is genuine, and that attitude is infectious. I find that in the corridors of Procter & Gamble and in the Walnut Hills neighborhood, which still has many miles to travel but that is feeling a renaissance. I see it in the Incline District of Price Hill and the Westwood Square development. These are all neighborhoods that have great potential that’s not been met yet, but instead of being pessimistic about their prospects they’re optimistic, and that’s feeding into more people wanting to invest in those neighborhoods. And I think that optimism is going to help us win more of these deals. The Amazon/Apple work has exposed public transportation as a civic shortcoming, which is not news to a lot of citizens. You are in favor of improving the Metro bus system by sharing the costs across Hamilton County, possibly via a new sales tax levy. What is your vision for the future of public transit here? There’s no doubt that we underinvest in public transit compared to our peer city competitors—by that I mean adding bus rapid transit, more cross-town bus routes, more frequency of existing routes and some of these connections that Uber, Lyft, and taxis can do for the first mile and last mile. We are looking at going to the voters to make a final decision on more public transportation funding, with the timing to be determined. I expect that to happen over the next couple of years. We have an incredibly regressive transit system now, where the city pays for the suburbs. Literally, it’s a reverse Robin Hood thing. The city taxpayer pays for suburban bus service, and the suburbs pay nothing out of their general fund or any other dedicated fund. So the current system is not only inadequate, it’s unjust. What we want is a public transportation system that is adequate, that meets people’s needs—which we currently do not—and is properly and fairly funded. If there’s a countywide funding source in the future, city residents are members of the county and so we’ll pay our fair share. That’s a much fairer system and will broaden the tax base so we can get more money into the system to help more people. Better public transit and alternative transit (bikes, walking trails, rideshare) helps build density in cities by allowing residents to live without cars. It’s also good for the environment. What can the city do to increase transit alternatives? I started Red Bike [in 2014] with UC Health, the Haile Foundation, and Jason Barron, who came to me and said they’d like to start it over the next couple of years, and I said, “Let’s launch it in the next six months.” They wanted to start it in downtown only, and I said, “Let’s go downtown to uptown.” Now it’s expanded to Covington and Northside and has really taken off. I’m a personal user of the system, and I enjoy it immensely. On top of that, we’re building dedicated, safe bike lanes and trails on the Oasis line along the river [east from downtown] and Wasson Way in Hyde Park, Evanston, and Mt. Lookout, which will be awesome. There are a lot of top priority projects in Cincinnati, a lot of “no brainer” ideas, starting with the Western Hills Viaduct and including the new FC Cincinnati stadium, Children’s Hospital expansion, Wasson Way, Cincinnati Parks maintenance, and much more. How do you prioritize the big ideas and fund them all? One step at a time. You eat an elephant one bite at a time. We dedicated $33 million to Western Hills Viaduct, and Hamilton County has as well, so that’s $66 million. It’s a real example of cooperation. Now [County Commissioners] Denise Driehaus and Todd Portune and I are lobbying the state for the other $200-plus million we need for that project. Transportation we talked about, and we’re working with Uber and others to put a plan forth in the next couple of years to expand public transportation. I did try to fund the parks maintenance and came up short, so someone else is going to have to come up with an idea [how to do it]. I gave an idea, but the voters said “no” and I accept that. So not everything can be solved. But I will continue to put energy into the Child Poverty Collaborative and public transportation, and I’ll make sure we have a Western Hills Viaduct solution before I leave office. What role can you play to improve the overall economy and growth across the region? I spend a lot of my time working with regional leaders, like we did with the Amazon bid, where we did a Northern Kentucky and Cincinnati bid together. We worked together on improving the airport. No one was happier than me when they got Southwest Airlines to come here, and no one was happier when they got Amazon to put 2,000 jobs out there. We really do rise and fall as a region. I’m cofounder and am on the executive committee of the Ohio Mayors Alliance, which puts together the top 30 cities in Ohio by population to lobby for more pro-urban and metropolitan policies coming out of Columbus. That’s been a wonderful network of leaders from around the state [to promote] a more regional and statewide approach to our future. There’s been a war on local government by the state of Ohio, as they continue to cut our local government funding. And let me be clear as to what that is. When Gov. Gilligan put in the state income tax in 1971, [state leaders] promised that a percent of it would go back to local communities to help pay for police and fire services. The theory was that, if they’re going to take money from you, they should give it back in the form of services. And so for 40 years, Democrats and Republicans honored that covenant. Unfortunately, over the last eight years, Gov. Kasich and the Republicans in Columbus broke that covenant. It’s important to understand what I’m saying, because this gets lost in the discussion when you hear rhetoric out of Columbus saying, “Oh, cities just have their hand out.” No, no, we still pay the income tax, but we don’t get the money back. I’ve said it repeatedly that, if they would cut the income tax by the same amount they cut our funding, we could decide at a local level, by a vote of the people, whether we want to maintain the same amount of service or cut service by cutting the cops and firefighters we’ve had to cut over the last 10 years. Just give us the local choice. But no, their solution [in Columbus] was to keep the income tax but cut the money they send back to us. What does that mean? It means that special interests get money in Columbus and we get fewer cops and firefighters on the streets in Cincinnati and in local communities across the state. That’s the real choice. Essentially now local communities, in order to preserve the services they used to have, have to raise taxes—and that’s a direct result of Republican policies in Columbus. Cincinnati was able to manage by having less services, but we would do better by getting our state tax revenue back. This change in funding is completely ideological. Just like you had President Trump and his people literally say they were going to get rid of state and local deductions [in the Republicans’ tax overhaul bill] because they believed Democrats live on the east and west coasts, so governing by partisanship. I think that’s exactly what we’ve seen in Columbus. They’ve taken money from cities because they view them as Democrats in order to just give out money to areas they think are more Republican. It’s immoral and bad for the state. It’s not about a strategic use of taxes to provide services necessary to grow our economy. In fact, it hurts our economy because cities are where job growth is coming from. At the recent Conference of Mayors you found out that the Justice Department might be coming down on sanctuary cities. What is your reaction to that, and are you still dedicated to Cincinnati being designated a sanctuary city? It’s important to remember that we’re proud to welcome immigrants to Cincinnati, and we’ve passed policies like the creation of Cincinnati Compass with the Chamber and worked with the Metropolitan Area Religious Coalition to provide IDs for individuals to access government services. We’re going to continue with all of that. I always say right away when discussing sanctuary city issues, so people don’t get confused, that we do follow federal, state, and local laws. We take an oath to our Constitution. It certainly is the case that our status in Cincinnati is more expressing our profound disagreement with the Trump Administration as opposed to violating local and state laws. The Republicans have defined our sanctuary city declaration in a way that suggests we’re trying to break laws, and that’s not true. It is true that we disagree with many of the laws and regulations the Trump Administration has passed. We, like anyone else, have the right to disagree with our federal government, hopefully, so we will continue to proudly do so. A number of big city mayors are running for higher office across the U.S., with some rumored to be potential Presidential candidates. How does being mayor prepare you for statewide or national government leadership roles? It’s predominantly the executive experience [you gain in this role]. You have to clean up the snow, pick up the trash, and deliver basic services, which helps to reduce, though not eliminate, the ideological debates that are so unhealthy. When you think about it, the federal government has the ability to borrow money. Essentially if they want to pay for something, they just print more money. So they’re in the position of basically saying “yes” to everyone, which you would think would make people happy—and yet the federal government and Congress have incredibly low approval ratings. Local government has to balance the budget under state law, and so we constantly say “no” to people. By saying “no” all the time, you’d think people would dislike us—but the fact is local government in general, not just Cincinnati, tends to have very high approval ratings. I think it’s refreshing, and a testament to the American people, that they realize we can’t afford to say “yes” all the time and that you have to have limits and boundaries in government. Weirdly, and it sounds counterintuitive, those who have the legal requirement but who then have to deliver on making these choices end up with more respect from the people than those who can just print more money and say “yes” to everything. What’s the best approach to progressive experimentation in local government? I think it’s about staying focused on what really matters, and what I think really matters are the big things. A city is either growing or dying, so first and foremost what policies do you need in order to grow? Secondly, are you bringing the bottom up? Are you helping to expand opportunities for the least of our community? Are you opening up barriers for women, the LGBT community, the disability community, the mental health community? Those are groups and individuals still facing some kind of external barrier. Are we leaving the planet in a better place for our kids? Those things matter. But often ideological debates detract from those big goals.